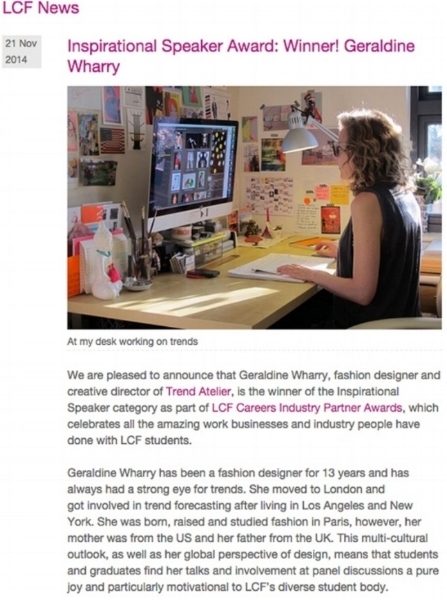 Geraldine Wharry's global experience as a fashion designer and trend forecaster has led her to collaborate across the style industry in fashion, beauty, innovation, technology, marketing and retail for leading brands, agencies and institutions. Her reputation for accurately predicting trends and designing successful fashion collections comes from an unwavering ability to research and define what's new. This has helped her collaborators with successful product launches, trend foresight and best selling designs in the USA, Europe and Asia. Passionate about knowledge and from a family of educators, artists and scientists, Geraldine has also dedicated herself to public speaking, sharing, mentoring, lecturing and writing. Geraldine Wharry is from Paris and is bi-cultural / bilingual French American, growing up traveling between the USA and France. 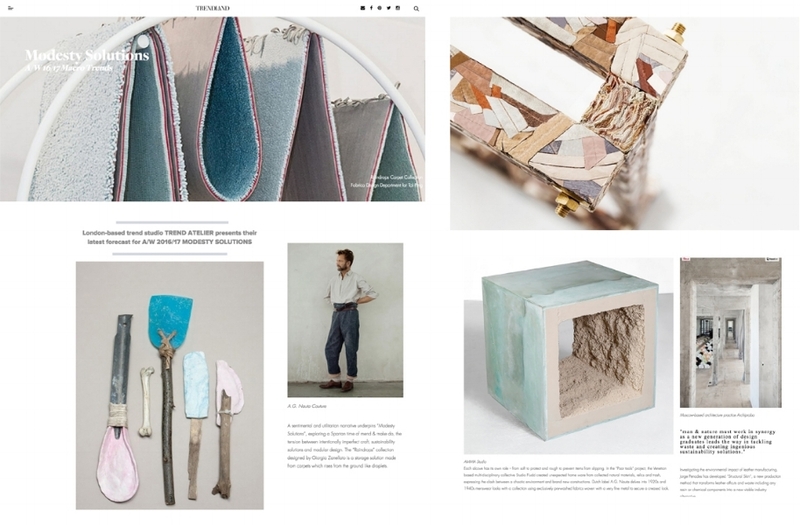 She fell in love with textile design and graduated from E.N.S.A.A Duperré in Paris in 1999. After receiving a full scholarship to Parsons in New York, she decided to move there, equipped with her portfolio, 400 dollars and her dual citizenship. There she quickly joined cult street wear brand Triple 5 Soul as fashion designer and started traveling around the world to design, develop and manage the womenswear collection. In 2004 Geraldine moved to Los Angeles where she worked for iconic surfwear label Ripcurl and premium denim brand 7 For All Mankind. In between her roles, she took a six month break to work in Tanzania for a charity and expand her outlook. After 11 years as a fashion designer, Geraldine decided to change her fashion lens and focused on innovation. 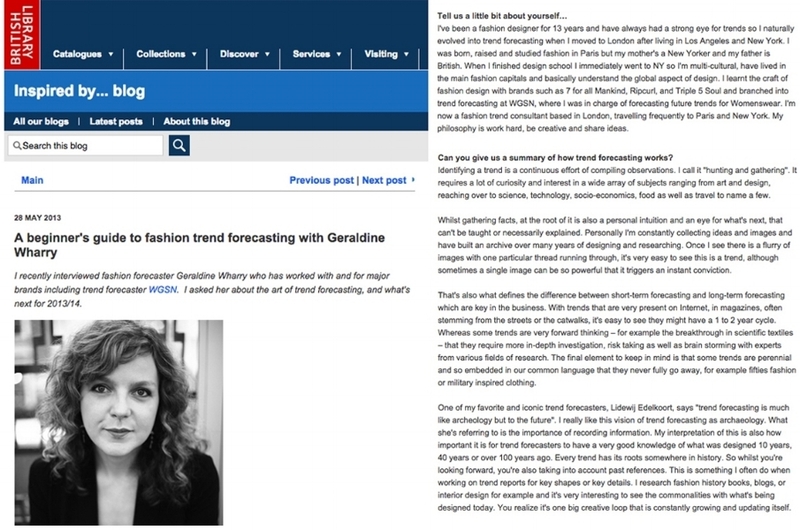 She moved to London and joined WGSN as senior womenswear trend forecaster for Macro Trends and Seasonal Directions. She now runs her consultancy and has grown a global reputation for thought provoking presentations and vision. Geraldine can be found at her local farmers market on Sundays or befriending dogs in the neighbourhood. What will fashion be like in 20 years from now?